For the past two years I have been a supporter of OPSA and was recently made a trustee. In October 2017 I was invited by the medical team to join them at the Cleft Hospital, Gujrat, Pakistan for their autumn medical camp. As a practising social worker, I wanted to understand more about the impact that children's facial abnormalities had on the whole family. I learned a great deal during my time at the Cleft Hospital and observed first-hand the dedication of the medical team, as well as the great camaraderie that exists between them. To see the transformation of children's faces, and the relief that their families experience as a result of the operations, was inspiring as well as moving. I was also able to join surgeon Penny McManus on a trip to Lahore, where I observed Penny teaching medical staff and also treating women with breast cancer. Overall, my time in Pakistan reinforced my resolve to assist OPSA in any way I can. It is an over-used word, but it truly was a privilege to watch the OPSA team in action. Mr Hart was originally the only surgeon from the UK who attended the cleft lip and palate surgery camps. He was the dedicated cleft lip and palate surgeon for the Hull & East Yorkshire region until the government restructured the service in 2000 when all the services were transferred to Leeds. It would have been a tremendous waste of his skills not to continue in some way, so when he was given the opportunity to work overseas on a voluntary basis it was too good an opportunity to miss. He has worked tirelessly over the years, attending at least one if not both camps each year, since 1998. He as now (in 2015) retired from surgery, but remains the charity’s chairman, and has an ambassadorial role in Pakistan, helping to raise awareness and speak with some of the most influential members of the community. He remains a vital part of the team and often presents to different community groups here in the East Yorkshire region. Mr Hart has lead a volunteer team of Plastic Surgeons, Anaesthetists, and Operating Department Practitioners have been visiting Gujrat, Pakistan, twice a year, to provide free surgery to underprivileged children with cleft lip and palate, burns contractors, and other deformities. This has lead to the establishment of a Charity, the Overseas Plastic Surgery Appeal (OPSA) in the UK. Mr. Muhammad Riaz has been working as a Consultant Plastic and Reconstructive Surgeon since 2001 and currently works at The Department of Plastic Surgery, Castle Hill Hospital, Cottingham in East Yorkshire . He has recently received an honorary appointment to the Academic Staff of the Hull York Medical School (HYMS). As a Senior Clinical Tutor his role includes teaching, research and curriculum development. Mr. Riaz is registered with the General Medical Council. He is a Fellow of the Royal College of Surgeons, a member of the British Association of Plastic Reconstructive and Aesthetic Surgeons (BAPRAS) the British Association of Aesthetic Plastic Surgeons (BAAPS) and the British Society for Surgery of the Hand (BSSH). Dr Rafique had his first experience of the surgical camps in Gujrat in 1999, when he was invited to join the team as a Senior Registrar in Anaesthetics. Since then he has attended every camp and is now responsible for the collective anaesthetic and recovery service. He organises and sources all the equipment and consumables needed for the trip so that surgery can be carried out safely. He also arranges additional anaesthetic cover in Pakistan so that we can provide a service in both of the operating theatres while we are there, and for which he remains responsible! He is heavily involved in basic life support training for both theatre personnel and other hospital staff, which is crucial to the overall success of the camp. Miss McManus first joined the team in 2013. Her role is to raise awareness of breast cancer, its diagnosis and management among local healthcare workers. Pakistan has a high rate of breast cancer and very few specialised services to care for the women affected. Women are reluctant to go to (often male) doctors with symptoms and the diagnosis is often made very late, when the disease is already advanced. Treatment is unaffordable for many patients, and only available in the larger urban centres. Penny has so far taught at major hospital in Islamabad, Lahore and Karachi. In Gujrat itself Dr. Bashir has installed a mammography machine in his hospital, and Penny has run breast clinics and operated on breast cancer patients there as well as providing teaching and training to students and nurses. Mr Chris Hill FRCS (Plast.) is a highly respected Consultant Plastic &amp; Reconstructive Surgeon, based in Northern Ireland. He runs an established private practice specialising in aesthetic surgery. Mr Hill is on the General Medical Council (GMC) Specialist Register for Plastic Surgery. the Craniofacial Society of Great Britain and Ireland. Within the NHS he is based primarily at the Royal Belfast Hospital for Sick Children, where he specialises in cleft lip and palate repair. He is also jointly responsible for all other aspects of general plastic surgery and skin cancer surgery at the Ulster Hospital and the Royal Victoria Hospital, Belfast. Rae graduated from Wakefield Faculty of Health and Nursing studies in Anaesthetics and Surgery in 1988. Rae commenced her career in cardiothoracic theatres and practised as a Senior Operating Theatre Practitioner for several years before undertaking a postgraduate qualification in Training & Education at Huddersfield University. Whilst working in the NHS, Rae met with Nick Hart and Annette Middleton and with them founded OPSA. Rae has travelled to Pakistan as a volunteer for over 20 years as part of the clinical team. During OPSA surgical camps, Rae is involved in anaesthetics, surgery and training & education utilising the many years of experience that she has as senior theatre practitioner within the NHS and private healthcare. Rae is honoured to be part of such a worthy and life-enhancing charity. She is currently a director at NL Group (a private healthcare provider based in East Yorkshire). Rae volunteers as a business mentor for The Prince’s Trust empowering young people in business with advice and professional networking skills. Annette qualified as a registered nurse in 1980, and has taken took up various positions as a perioperative practitioner since 1985. She has worked exclusively in operating theatres across East Yorkshire since this time. She currently works for Mr Riaz, assisting him during surgery in his busy private practice, and also for an Ophthalmic Consultant, Mr Milind Pande, as the Practice Manager. Her first trip to Pakistan was in 1998, when Nick Hart invited her to assist him in the operating theatre. After his first trip the previous year he could see a need for a theatre practitioner from the UK to attend, in order to pass on some of the skills and expertise to the hospital staff there. She works in the capacity of ‘scrub nurse’ and the surgeons’ assistant during the OPSA camps, and also plays a significant part in the necessary organisation prior to the camps taking place. This involves procurement of equipment and consumables for the trip. After Annette’s first trip to Pakistan in 1998, she was sufficiently committed to offer her continuing support. Annette has attended camps in Pakistan for 16 years, the only time OPSA has not operated has been when it was deemed too politically unstable for the team to visit. Dr Tariq has been working as a Consultant Anaesthetist since 1998 and currently works for the NHS in the Southern Health & Social Care Trust Northern Ireland. He regularly practices Paediatric Anaesthesia. He is a fellow of the College of Anaesthetists in Ireland. He is registered with the General Medical Council, UK and the Medical Council Ireland and is a member of British Medical Association, Association of Anaesthetists of Great Britain and Ireland and the Faculty of Medical Leadership and Management. Dr Tariq has been visiting Pakistan with the Surgical Team since 2006. He has considerable experience of the health care management and is an Associate Medical Director of his Health and Social Care Trust. He has special interest in Clinical Governance, patient safety and personal development of the health care staff. Mr Theopold works as a Consultant Plastic Surgeon at St. James’s University Hospital and Temple Street Children’s University Hospital, Dublin. He is one of two surgeons undertaking primary and secondary cleft surgery within the Dublin Cleft Centre, leading the team at Temple Street Hospital since 2014. Apart from cleft lip and palate, his main interests in plastic surgery are in facial reconstruction after Head and Neck tumour surgery, as well as restorative surgery for facial palsy. 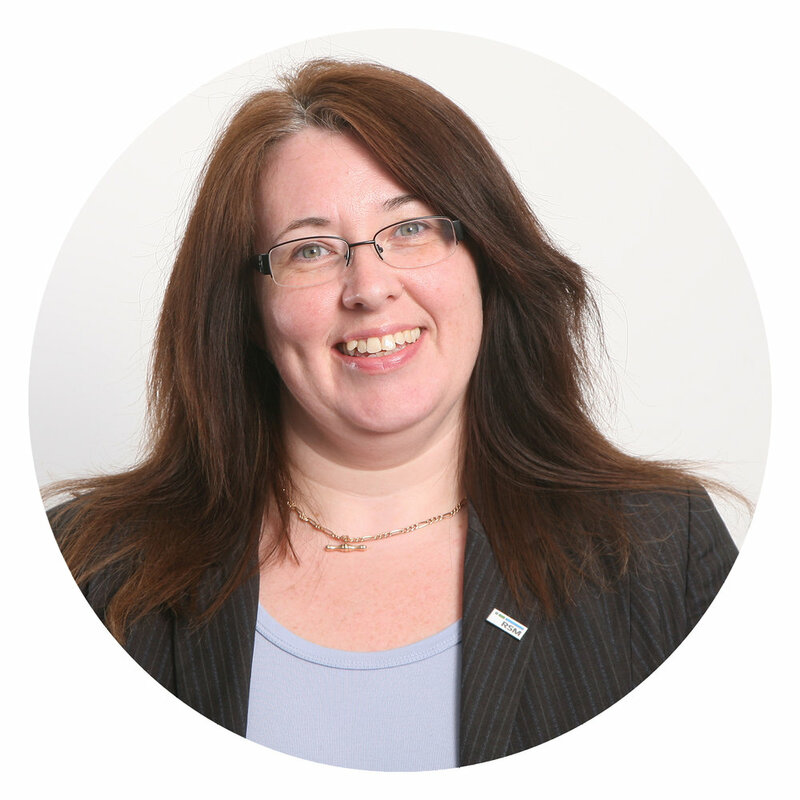 Tracy is a Chartered Certified Accountant and has 24 years’ experience in the accountancy profession. She joined OPSA in 2016 as Treasurer and was made a trustee in 2018.